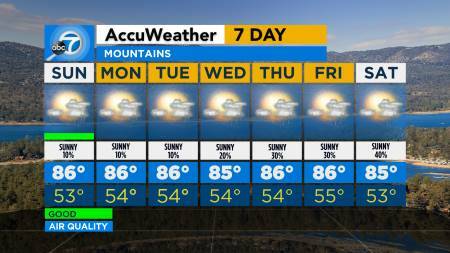 SoCal will see sunny, warm conditions Thursday with some temperatures reaching the 90s. 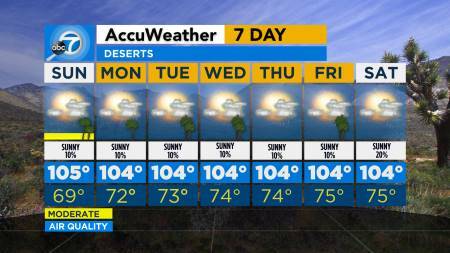 LOS ANGELES (KABC) -- It will feel like summer in Southern California on Thursday, with sunny skies and temperatures climbing up to 90 in some areas. 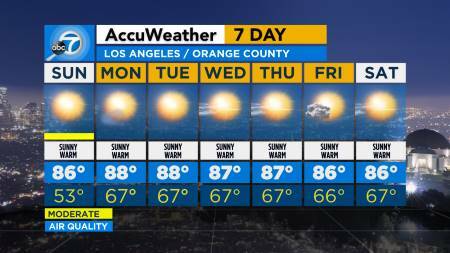 Los Angeles and Orange counties will see sunny skies with a high temperature of 84 degrees. 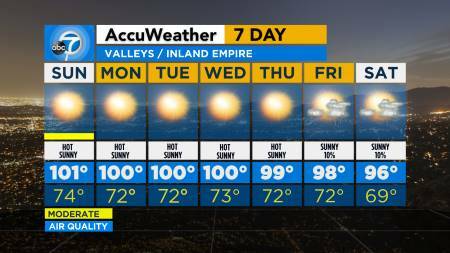 Valleys and Inland empire regions will see sunny, warm conditions with a high getting up to 90. 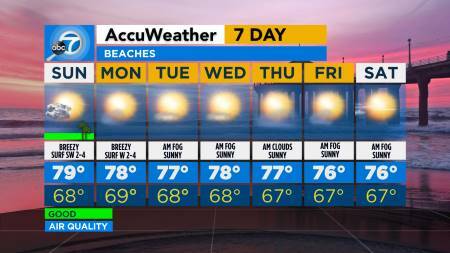 Beaches can expect some sunny, warm conditions with 2-3 foot surf and a high of 70. Mountains could see cooler temperatures, with a high of 67, dropping to 39 overnight. Desert areas will be sunny and warm with a high of 85.